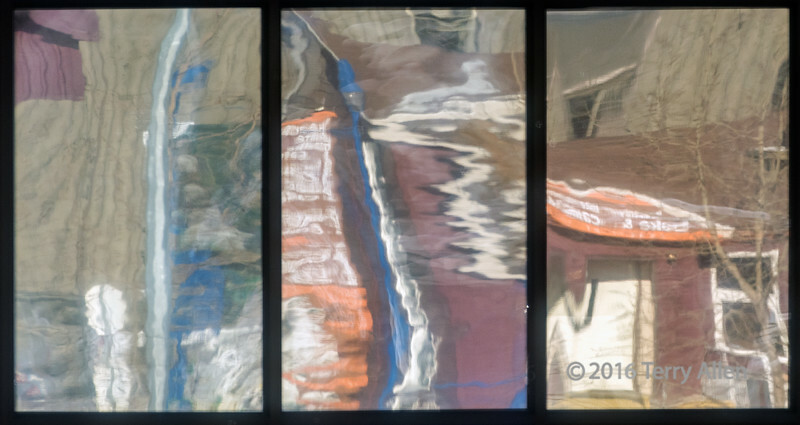 This is a single shot (not a collage) of the reflections in the windows of a building opposite my hotel room in Whitehorse, Yukon that was reflecting the snow covered streets and bare trees of the town. Very cool shot and I love the the idea of abstract reflections! very interesting abstract. Reflections can be very eye catching. How cool!!! This makes for a great abstract. I'm glad to hear that you got to do a dog sled ride, they are such fun dogs happy and full of energy. Very well seen & captured. Hi Terry, this is interesting. Way to cool and interesting reflections - what discerning eyes you have to spot this!